August 1, 2016 (Ulson Gunnar - NEO) - The United States poses as a champion against the great threats facing global security and stability, an uphill battle it claims requires equally great sacrifices, especially in terms of defense spending. It must be just a coincidence that the many policy think-tanks promoting this notion just so happen to be funded by huge multinational defense contractors. The Atlantic Council, for instance, includes among its corporate members, Airbus, Lockheed Martin, Raytheon, Thales, Boeing and Northrop Grumman, just to name a few. So when Atlantic Council authors wrote about the subject of close air support (CAS) aircraft, it should come as no surprise that the development or procurement of a new system was the option of choice, this despite the fact that a brand new aircraft, the Lockheed Martin F-35 Lightning II, was already supposed to fill this role. ...after years of hearing that the F-35A would be the sort-of replacement for the A-10C, it's worth reviewing why it never could be. It's not for the gun or the armor. It's the increased threat: Russian motorized rifle brigades now run with lots of their own 30 mm guns, looking up. Missiles are now a bigger problem too. As Colonel Mike Pietrucha USAF wrote for War On The Rocks last month, the heat from that huge engine is itself a huge target for heat-seekers. Lockheed has worked hard to suppress the signature, but physics dictate there's only so much that can be done. Overall, the hundred-million-dollar jet is just too expensive to hazard to for busting tanks that way. 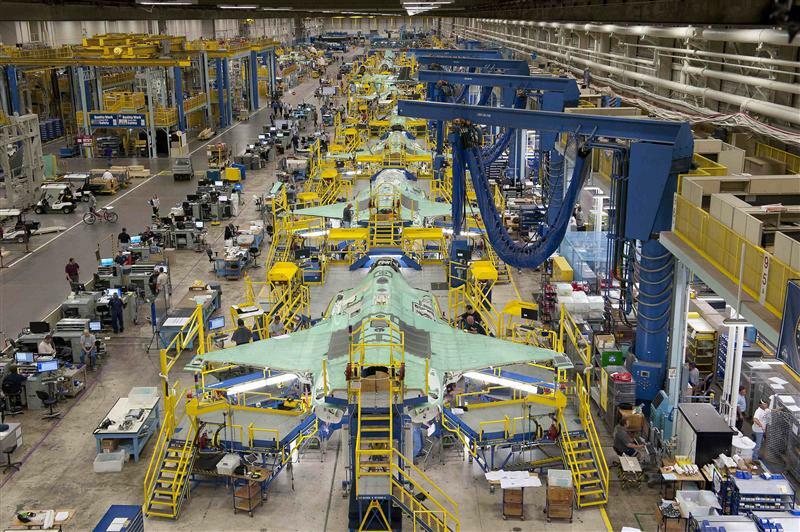 The projected cost of the F-35 program in total is estimated to be well over 1 trillion USD. The cost for each aircraft averages 100 million USD. That the Atlantic Council's authors deem it "too expensive" to use for one of the roles it was allegedly proposed to fill, should make US and allied taxpayers wonder just what they have mortgaged their futures for. Currently for CAS, the US Air Force depends on the Fairchild Republic A-10 Thunderbolt II, as well as multirole aircraft like the Lockheed Martin F-16. To replace the A-10, the US plans to use F-16's more widely, that is, until a new CAS system is developed. In the short-term the USAF has plans to replace some A-10s with Lockheed Martin F-16 Fighting Falcons, but in the medium- to longer-terms there are plans to procure or develop either a platform that that can operate either in a permissive environment only, or one that can operate in both a permissive and contested environment. The options are being considered under the auspices of the recently announced A-X project. So in addition to the 1 trillion USD F-35 program, there will be an additional program to develop the next generation of CAS aircraft for the US Air Force. One wonders if the F-35's other slated roles will also require parallel defense programs to fill as the fundamental flaws of the entire program begin to unfold. A trillion dollars spent on a useless aircraft that requires multiple parallel defense programs to compensate for, represents different problems to different people depending on their perspective. To some, it appears to be supreme incompetence and poor planning. To others, a tragic waste of national resources. But to others still, it appears to be the only logical conclusion a nation and its tax dollars can arrive at, when it is driven by special interests in pursuit of power and profits, rather than any particular purpose. The 1 trillion USD going into the F-35 program is not disappearing into a black hole. Lockheed Martin is receiving that money. With it, it will purchase more lobbying power in Washington, more clout on Wall Street, more authors to pen favorable "policy" proposals within the halls of think tanks like the Atlantic Council and more journalists across the international press to promote these proposals to the general public. It will also use this wealth to help promote the wars that will in turn, drive demand for yet more costly defense programs it will undoubtedly share a stake in developing and profiting from. While the F-35, the new CAS program being developed to augment it, and virtually every other defense program the US and its allies are moving forward with, are predicated on maintaining national defense, it appears quite clear that the self-preservation of the corporations involved takes primacy over the former. The US will not be safer with the F-35 in the air. In conflicts like the 2008 Georgian invasion of South Ossetia, the ongoing conflict in Ukraine or the war raging in Syria, Russia has proven that a fraction of the resources spent on defense, if spent properly, can meet or exceed the performance of US-NATO military capabilities. On what is a shoestring budget by comparison, Russia's combination of pragmatic military spending and proper strategic planning and implementation has become a case study of how a Middle East intervention should be done. The Syria Russia is helping preserve through its military intervention is one with a stable, secular government that has and will continue to be a valuable ally against armed militants throughout the region. Compare this in contrast to the trillions of dollars spent on US interventions throughout the Middle East, North Africa and Central Asia where the apparent, or at least evident purpose was to divide and destroy nations, leaving them tinderboxes of violence and conflict as well as breeding grounds for extremism, seemingly, purposefully, inviting conflict after unending conflict. The US is spending more to make the world a more dangerous place, with unnecessary weapons systems even analysts working for think tanks funded by their manufacturers admit are too expensive and impractical to use on the battlefield for the roles they were intended to fulfill. It is not that the US and its industry are incapable in technical terms of creating a functional and premier national defense, it is that the US and its industry are incapable of adhering to a rational policy that would require such a national defense. 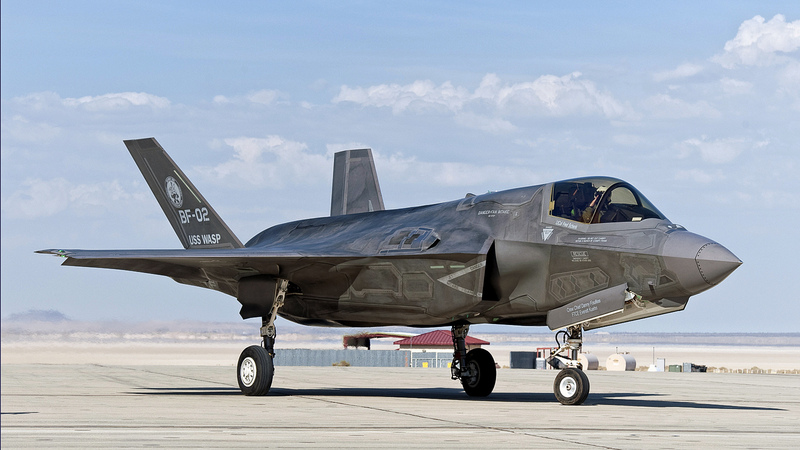 Defense dysfunction amid a world intentionally destabilized, it turns out, is much better for business, and the F-35 with its emerging parallel defense programs it now requires, is symptomatic of this.